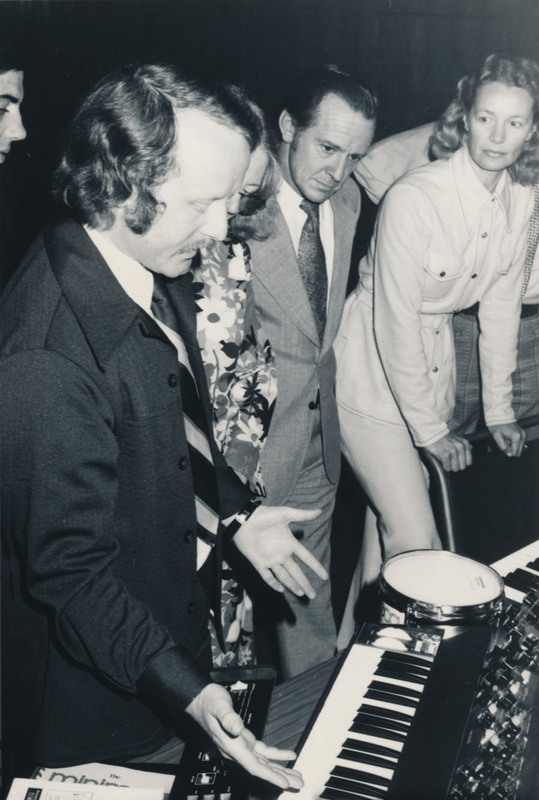 Thomas Rhea, Ph.D., now Associate Professor, Electronic Production and Design Department, at Berklee College of Music, in Boston, spent countless hours with Scott in the early 1970s. 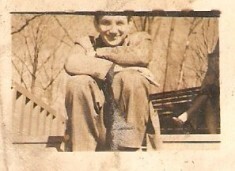 Irwin Chusid interviewed Rhea by telephone on March 27 and 29, 1997. The composite dialogue begins with Rhea attempting to identify the instruments Scott used on his groundbreaking—but commercially obscure—1964 three-volume set of electronic lullabies for infants, Soothing Sounds For Baby. Rhea was speculating, since he did not meet Scott until years after SSFB was completed. Rhea: There’s a distinctive signature for almost any instrument, and I swear I hear Electronium on there. I don’t know the exact dates of the Electronium. Raymond was always vague about exactly when it was put together. Some of the sounds [in Soothing Sounds], and the way they’re done, it’s apparent that he’s flipping a switch back and forth and changing timbres and sonorities—the kinds of things you would have done on the Electronium. The Electronium had a very characteristic sound to it. Some of the envelopes, the way they’re done, there’s a kind of a “buk-buk-buk” sound. I’m sure either this was a prototype Electronium, some circuitry that he was starting to build sequencing at this time. 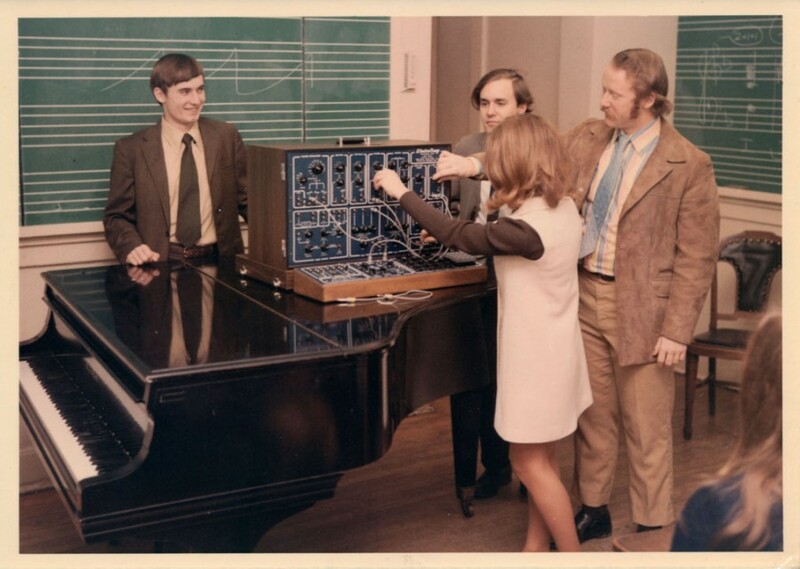 After all, Buchla built a sequencer pretty soon after this, and then Moog. So, I think Raymond anticipated them in doing this. I understand the rudiments of the Electronium. I believe it was a RAMAC, a kind of IBM drum memory. The IBM 305 RAMAC (Random Access Memory Accounting System), introduced in 1956, was arguably the first commercial computer that used moving-head magnetic disk storage. It was a rotating drum memory device, and given the era, it was almost certainly one of these drum memories. I remember his referring to that. Before that, I had gotten the impression from speaking to him—this is impressionistic, because he was so elusive about wanting to discuss it—that he had built some relay-type circuitry. I know that he had built a so-called n-trigger delay. The “n” stood for however many triggers you chose to delay. The n-trigger delay–you’ll see a modern manifestation of that, “modern” meaning 1968 or so, from Bob Moog, who had a dual-trigger delay. You could trigger something from a keyboard, count a delay time, then trigger again. This way, you make things repeat. But I saw something like this on Raymond’s wall of sound as early as when I first met him, which was late 1969 or 1970. So I know he understood the idea of counters and gates. And if he understood that, he certainly could have put together something that would make rhythms and repeat them. He used to have a device that had lights in a circle. IC: The “Circle Machine.” It was a polyphonic sequencer, which he says he invented around 1960. Rhea: I suspect that’s what he used to generate those rhythmic patterns. It was either a sequencer or a waveform generator, depending upon how you looked at it, depending on how fast it went around. What he told me is, he would make certain discrete sounds with the Circle Machine, and then transpose them with tape technique and such. If you think about how that thing could work, as the photo-electric cell on the end of the arm rolls around at a certain angular velocity, that’s a frequency. And the number of lights that go around and their intensity is the wave shape. IC: Did you have a trusting relationship with Scott? Rhea: I originally wanted to interview him. At first he did not want me to tape anything, because he was so concerned—he wanted me to sign a release, a disclosure. Which I did. What was I going to say to anybody? He was almost paranoid. He was so concerned that people were going to rip him off—you know, he recognized that his ideas were way ahead of their time. For these reasons, he might have appeared to people as guarded or secretive, but he really didn’t know how to exploit those ideas, and he wouldn’t take a lot of people into his confidence. He was so secretive, even with me, whom I think he really trusted. He also didn’t want to talk about the past, even though I was an historian, because he was so interested in the future. It was very difficult to get details from him about the exact lineage of his equipment. It wasn’t just that he was protective of it—he didn’t want to talk about it. He was all about Berry Gordy, what he was going to do with the new version of the Electronium, and stuff like that. So it was extremely difficult for me to find out a lot of things I would have liked to have found out. IC: How old were you then? Rhea: Late 20s. I was finishing dissertation research for my Ph.D., coming out of graduate school. It was about 1970 or ‘71. I had to be about 26. And from my historical research, I knew what he had done. I watched Raymond demo the Electronium. I know how he interacted with it, and I understand what his ideas were about the collaboration between man and machine—which to me is the most important thing that Raymond did, in terms of electronics and music. The Clavivox [keyboard theremin invented by Scott] is not an important instrument. It’s an off-shoot, it’s a minor instrument. It’s novel, but it’s not like it had a big influence or anything. On the other hand, the idea that he anticipated some artificial intelligence concepts and some compositional concepts that other people believe somebody else did, I think is very important. I don’t know how early Raymond had done any of this, because it was difficult to find out. But I do know that the idea of collaborating with a machine, and allowing the machine to make certain decisions and then editing—not exactly knowing what you were going to get—that was a pretty avant-garde idea. And it’s an idea whose time is not completely over. We’ve had latter-day manifestations of that in things like Jam Factory, and M.
I really have a very warm spot in my heart for Raymond, since he was one of the characters of my life. I’m trying to get together a history of electronic musical instruments, and Raymond has a very important spot in it. In essence, the industry that has grown up around electric instruments has done nothing to preserve its own history. We’ve only been making electric instruments, in practical terms, for less than a hundred years. So it’s new, it’s being ignored, and I’m trying to do something about it. But I don’t have an academic viewpoint. I’m interested in the fact that Raymond Scott did silent, mimed playing before John Cage did 4’33”. And I’m afraid the academic canon, they just don’t really care about anything except the personalities they have decided are the pioneers. I mean, I appreciate everything Cage did, and Stockhausen, and I know that music. But there’s a whole tradition here that’s being ignored, and Raymond Scott is one of those people.